Access Publishing is now offering online display advertising that is geo-targeted on local websites to help small businesses connect with local customers. Targeting local communities and visitors allows your banner ads to be displayed to consumers browsing the internet in a specific city or all of San Luis Obispo County. 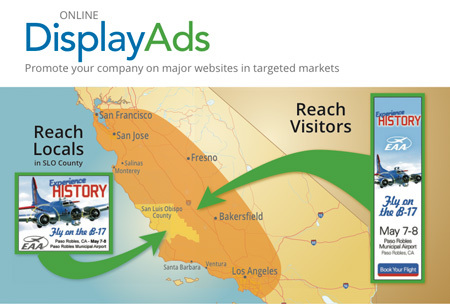 Access Publishing can launch a marketing campaign that will serve your online display ads in Paso Robles, Atascadero, Templeton, Cambria, and the entire county. Access Publishing will consult with and give you the best advise for creating an online display ad campaign. We can show the type of ads that get the best results. We offer free graphic design of your advertising, including free monthly updates to your ad copy. We will launch your ad and follow through with monthly reporting that shows the number of views and clicks for your campaign. Choose cities in the county to target and your ads will be visible to thousands of local readers on the top local news and information websites. Major local markets include San Luis Obispo, Paso Robles, Atascadero, Templeton, and Cambria. 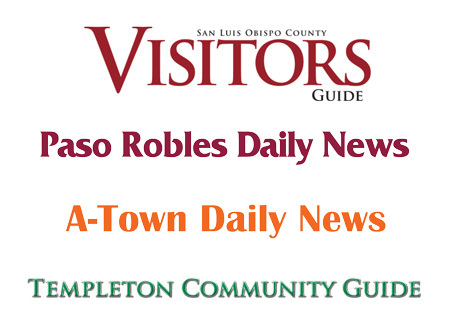 By advertising on the San Luis Obispo County Visitors Guide you can reach consumers planning to visit the area. This will target your message to people who are searching for travel, lodging, dining and entertainment. Comprehensive reporting includes total impressions and clicks to your website or landing page. The results are reported for each day of your campaign. We can offer suggestions for creating the most effective online ads. What do online display ads cost? The cost of your marketing campaign will depend the number of areas you want to reach and how many impressions and clicks you would like to achieve. Our campaigns start as low as $99 per month for 10,000 impressions. I have been a customer of Access Publishing for the past 4-5 years. I have had personalized service, quick galleys for proofing and excellent coordination between my corporate advertising guidelines and Access. My ads have been cost effective and successful in bringing customers to my business. Great job all. Thank you.